Warm Up feels like the first, true “major” of the college season: three days, a ton of teams with Nationals aspirations, and plenty of opportunities to play some really high quality teams. With so many teams playing so many games, it’s a great first assessment of where teams are and how they’re likely to shape up against other top teams during the season. But it’s also still early in the campaign, and different teams can use the weekend in different ways, which can sometimes lead to uncovering diamonds in the rough — or merely finding fool’s gold. So what can we learn from Warm Up? Figuring that out is the fun part. Even the teams that do put up deceiving performances tend to show some small signs of what they will truly be by the end of the year. Plus it’s always fun to see BYU play in the closest thing they can get to a Nationals type atmosphere. So without further ado, here are the things I’m most looking forward to learning — or maybe not — this weekend. Unlike in years past, where bracket play was determined by overall record and a sometimes complicated series of tiebreakers, this year, Warm Up will borrow from last year’s Northwest Challenge and determine seeding by running the USA Ultimate ranking algorithm on the match play results. Like before, every point matters, but we’ll be a lot less likely to see a surprise team make the bracket thanks to a soft schedule. Who Emerges As a Contender? Last year, the answer to the above question was obviously Brown. It might be too much to ask for a team to come out of virtually nowhere to become a semifinals contender again like last year’s Brown team did, but Warm Up should still be an opportunity for a team or two to announce themselves as contenders for a bid or a spot at Nationals. Can #24 Emory garner some positive results against non-regional competition? Can #21 LSU build on a surprising win over Auburn at T-Town Throwdown to start their season? Can Virginia Tech, Texas A&M, and Michigan bounce back after missing out on Nationals in 2018? Will Cornell look like the favorite to win the Metro East? Can a team like Tufts, or Northeastern, or UT-Dallas, who have all garnered a bit of buzz over the last couple seasons, take the next step as true, top 25 caliber teams? Emory has a talented top tier, but the depth hasn’t been there for them in recent years, and their results at Carolina Kickoff weren’t particularly promising. But the team learning to play without Anders Olsen, who will be limited throughout the season because he is enrolled in medical school, could make them stronger and less reliant on their top end players. The team does have four very winnable games in match play, and a couple of opportunities to test themselves against the big dogs in Carleton and Brown before possibly heading to the bracket, so we should get a decent idea of how strong Emory really is, or can be, this weekend. LSU’s resume to this point can’t be criticized. They did have a few close wins over teams that don’t appear to be destined for Nationals contention, but going undefeated at T-Town with a win over Auburn in the final is a dream start. They’re a young group, though, and the program has historically struggled to find consistency from game to game, let alone tournament to tournament. But are we seeing the seeds of change? There’s a greater sense of unity among this year’s team, and head coach Kyle Breen tweeted that every player on the roster saw the field in their upset win over Auburn. An LSU team with legitimate depth would be a game-changer. Big cutter Jeff Oravic had a heck of a season opener, and continued development from their Catholic High School players like Matt Freeburgh, Dylan Reviere, and Johnny Sims should make the team stronger still. The team has quite the challenge facing them in match play, with four games against top 25 teams and no gimmies against Northeastern and Harvard, New England teams that will play a lot different than the Southeast teams they saw at T-Town. Virginia Tech lost a lot of their upperclassmen after last season, and Joe Freund isn’t listed on the active roster for this weekend. But that should mean for a good opportunity to see how the team’s depth has developed since last year. They will hope to put a lackluster fall behind them. Texas A&M‘s Connor Ughetta brings high level club and AUDL experience to the field, and Timmy Robison is as big a Warm Up legend as they come, and their schedule is very navigable. Michigan suffered a fair bit of turnover, and looked to be fully in the growing pains stage at CCC, but there’s still plenty of knowledge and expectation within the program. Cornell‘s regional rival UConn has used Warm Up to prime themselves for Nationals runs in recent years; Cornell hopes to do the same this weekend. We know Spencer Deroos and Pat Vorhees are legit, but this weekend will be our first chance to see what kind of steps players like Max Tomsick and Leo Decter and the rest of the team’s depth have taken — and whether it looks like the team has what it takes to take down UConn at Regionals. UT-Dallas had a promising fall and put up a very respectable Santa Barbara Invite performance, while Tufts and Northeastern both return a lot of experience from their respective rosters that showed flashes at times last season. How Do The Top Tier Teams Stack Up? On paper, it looks like Brown, Carleton, Georgia, Minnesota, Northwestern, Pittsburgh, Wisconsin, and BYU form a top tier that will be pretty tough for the field to break into. BYU obviously can’t make the bracket, which will open up at least one quarterfinals spot, but do any of the other teams slip up somewhere unexpectedly? Who will emerge as the top dog amongst the top dogs? All of these teams currently reside inside the top 14, and, with the exception of BYU, all made the bracket at Nationals last year. Pitt made the final, Carleton made semis, and Georgia and Wisconsin both made quarters. If you add in #19 Texas, who will fancy themselves one of the favorites to take BYU’s vacated quarters spot, then you have eight teams who all finished tied for ninth or better a year ago. That should make for a really, really fun bracket, and some stellar match play games when they meet. Brown features one of the fiercest duos in the country in Mac Hecht and John Randolph, but the team didn’t exactly look spectacular in the fall. The loss of Eli Motycka is going to have a very real impact on their depth chart this year, but getting Ken Noh and Dylan Villeneuve back after they were absent for CCC should give them a big boost. Even with Motycka gone, Brown still has one of the most talented group of top-end players in the country and should be considered contenders to win the tournament. But working to flesh out their depth — clearly lacking in the fall — may be more of the focus this weekend. Carleton is two years removed from a National Championship and currently ranked #2 in the country, but are there reasons to suspect they won’t have quite the ceiling they did a season ago? Their run to semifinals last year would be a season to remember for most teams, but it felt like a pretty big disappointment considering the talent on the team. Gone are Henry Fisher, Sol Yanuck, Alex Olson, and Eric Taylor, all big contributors over the last two years. But after a fantastic 2018 from Dillon Lanier and a whopping five U24 selections (Lanier, White, Stan Birdsong, Luke Webb, and Tim Schoch), it’s hard not to expect more greatness. This weekend, though, CUT will be without White and Webb, among a handful of others. Carleton’s matchup on Friday with Pitt, the team that emphatically knocked them out in semifinals last season, provides a delectable amount of drama right from the get-go, so big thanks to the schedule makers for that. Pittsburgh, the final biggest contender to win the tournament, returns to Warm Up after sitting out in 2018. Pitt loses a few key members from last year’s runners-up team, including Dylan Best and Jonah Wisch, but there’s still an awful lot of exciting talent coming back. Mike Ing is one of the biggest stars in the division, and some say his freshman brother Henry might be even more talented. Pitt also had a supremely talented freshmen class last year, featuring the likes of Kevin Tsui, Will Hoffenkamp, and Marcel Oliart, who should all be primed to take on larger roles this year. And don’t you dare sleep on Noah “Big Cat” Robinson, who feasted against Carleton at Nationals. Georgia, Minnesota, Northwestern, Wisconsin, and BYU may not be in quite the same bracket as those other three, but all should be Nationals-caliber teams again in 2019. Georgia has height and athleticism for days. Hunter Cutts and Jason Jones will dunk on anyone in the division, and they have some younger players ready to take the next step in production behind them. As of now, they’re the best and deepest team in the Southeast. Their match against LSU will be must-watch. Minnesota lost some major firepower from the 2018 team, but Cole Jurek and Cole Wallin are still around and will both be major problems for teams downfield. Sam Kaminsky and Wystan Duhn provide plenty of talent in the backfield, but Minnesota will need more from their depth, something they didn’t get enough of last season, if they are to improve on last year’s somewhat disappointing campaign. There might not be a team in the division that loves Warm Up more than Northwestern. They’ve put together back to back really strong Warm Up performances, and they rode the momentum from last year’s 6-3 weekend all the way to a Nationals appearance. Kyle Rutledge is another player to add to your Players to Watch list, but they bring back a hefty number of another returners from last year’s squad, including their top assist man at Nationals, Jeff Holm. They do need to replace some goal scoring after losing Max Moore and Jay Valdillez, but Josh Venegas should step into a bigger role. The team will also have to deal with external expectations now, but all signs point to Northwestern being the favorite to win the Great Lakes, and very possibly a team that’s more than just the best in a weak region. Wisconsin has had some rotten injury luck at Warm Up in recent years, but if they remain healthy, they should have their eyes on semifinals this weekend. Fifth year and U24 selection Nick Vogt, Ben Pavelka, and Ted Schewe make for a truly fearsome top trio, and the Hodags always have a solid foundation with the depth of their roster. Wisconsin has struggled at Warm Up the last two seasons, going just a combined 11-8 in the last two years. They’ve shown signs of snow-caused rust in the past, but on paper, this Wisconsin team should be as competitive a team as they’ve sent down to Florida in a few years. BYU is one of the few teams we’ve seen already, as they played at Santa Barbara Invite a couple weeks ago. They looked like the best team there and exhibited the elite level of defense we’ve come to expect from Bryce Merrill’s program. BYU has fared very well at Warm Up the last couple of seasons, despite usually getting a tougher schedule than most. This year they get to play Texas, Wisconsin, Northwestern, Pitt, and Carleton, five Nationals teams from last year. Every year that BYU is a clear Nationals team, we say it’s a shame we don’t get to see how well they would fare at the big dance. It is only February, but that gauntlet should give us a pretty good idea of just how good they are this year. Let’s see how their offense, led by Braden Eberhard, Jordan Kerr, and Luke Yorgason, stacks up this weekend after giving up just four total breaks through six games at SBI! Texas, after struggling so mightily at Warm Up a season ago, now come in as true bracket hopefuls. Matthew Armour and Noah Chambers, who led the team in goals and assists at Nationals last year, respectively, got plenty of experience over the summer. And they welcome in Noah’s younger brother, Matt, who graduated high school early and enrolled at UT for the spring semester. He was arguably the best high school player in Texas last year and led the Austin Amigos in assists (15) at YCCs last year, so he offers an immediate offensive boost to TUFF. Combine that with the impressive depth of the team — 12 players scored 3+ goals at Nationals in 2018 — and you’ve got the recipe for a South Central frontrunner. What will Florida look like? They left CCC once the rain hit, so we didn’t get a good look at them in the late fall. They typically perform very well at Warm Up, but the roster is going to feature a lot of new faces this season, including seven freshmen. Will Ryan Hiser be the next big thing? How will regime change affect UCF? They haven’t made Nationals in a few years, anyway. 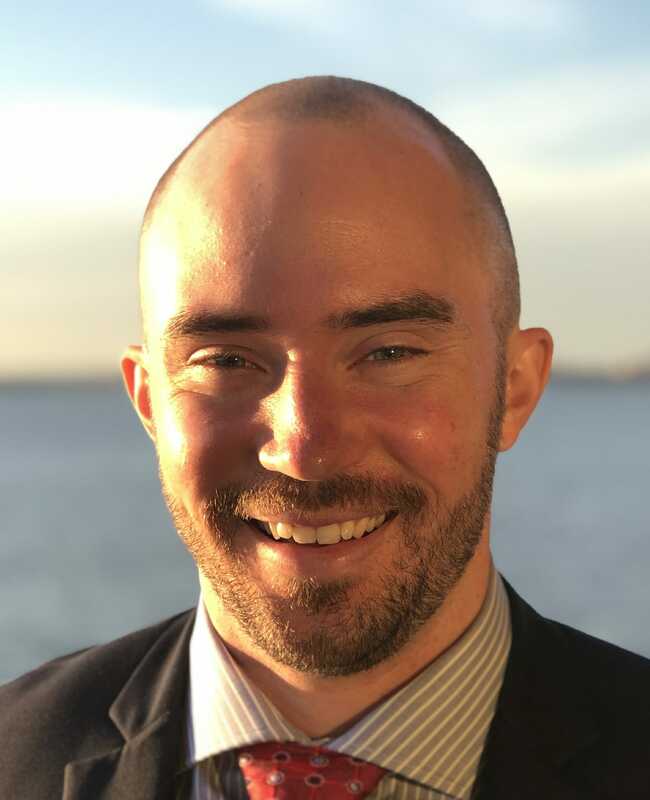 But maybe new head coach Michael Taylor can get more out of Andrew Vinson, Austin Gaines, and company than Andrew Roca was able to the last couple years. Is Rutgers a Metro East Contender? Another team that will have hopes of cashing in on a potential down year from UConn, Rutgers made semis at regionals last year and brings most of that roster back. This weekend could be a pivotal training ground for them. Can South Carolina compete in the AC? Carolina Kickoff was a solid start to the year for USC, who went 4-2 with a one point loss to Notre Dame and a two point loss to Emory. Could they go 6-0 in match play? It doesn’t feel impossible. 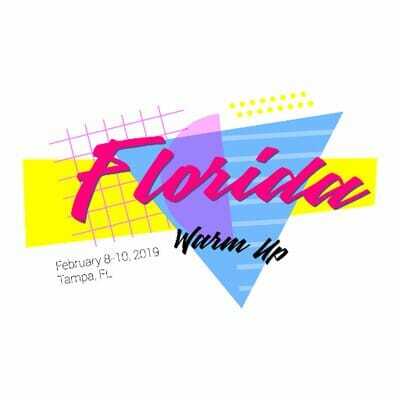 Comments on "Florida Warm Up 2019: Tournament Preview"